The very foundation of YogaFaith, spreading His light and joy. A YogaFaith Ambassador is one who wants to move from being a spectator to being a participator. One who captures the vision and wants to take God’s light into a dark world. We value and honor our Ambassadors being the hands and feet of God, reaching all four corners of this Earth. Going and making disciples in His name. CONGRATULATIONS 2018-2019 AMBASSADOR OF THE YEAR! Her passion is for the revelation of God to be made real through the prophetic and creative portrayal of the message of Christ’s unfailing love, in order to help sustain the hearts of the broken and weary. She is particularly interested in how God uses creativity and embodied movement (including yoga) in the formative and healing process. She is a graduate of Ashland Theological Seminary. 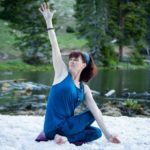 She has taught yoga for over 15 years and leads a gently challenging Vinyasa flow (or slow, energizing flow) yoga class that is ROOTED (grounded in form, alignment, intention) and REACHING (stretching towards personal goals, dreams, destiny). She is a Registered YogaFaith Trainer (R-YFT), a E-RYT with Yoga Alliance, a YogaFaith Ambassador, (YF-A), and a certified Silver Sneakers Yoga Instructor. My yoga experience began as a way to have a study break and get some exercise, but as I continued to attend classes, I realized that the time on my mat was very meaningful; it became a great time to connect with God. I began to notice that so many principles of yoga reflect God and his desire for us to be whole in body, soul and spirit. Thus began my search for Christian Yoga, and I am so elated to be a part of the YogaFaith family! I believe this journey of connecting my Christian faith with yoga, is a piece of the puzzle of life, for which I have been searching for some time. I have spent a number of years in YWAM (Youth With a Mission) serving in various capacities in missions. Currently, I work full time as an Addiction Counselor at a long term residential treatment center for alcohol and drugs. I also teach yoga classes at a local yoga studio. These two positions remind me daily that: life is sometimes so beautiful, and life is sometimes so brutal! Living with the tension of these realities, I desire to live being grateful for all that God has given me. I am so thankful to be able to share this gift of YogaFaith; it is a precious treasure to share Jesus through the practice of yoga! I grew up as a dancer although the overly-critical dance world made me seek out alternatives. I took my first yoga class at a local gym and instantly felt connected. I realized Yoga was about how you feel and not how you look. While living in Los Angeles in 2007 I went through a 200-hour Vinyasa Yoga Teacher Training and studied with various yoga teachers. I loved the practice of yoga and felt the presence of God many times. God was doing a major work in me that year as I was in my first year of sobriety. I was either at a yoga studio, church or AA. In May of 2017 I completed my 200hr certification with Yoga Faith and am excited to be shining the light of Christ through Yoga Faith Ambassadorship. Yoga Faith is a gift and a way of God pulling all of my life’s experiences together walking out the good works he has placed before me. I had finally found my tribe! I will never despise my small beginnings of teaching donation based classes with little to no students to now owning my own yoga studio in Plainwell, MI. My passion is people finding freedom in Christ to break chains of addiction, identify and move though anything that is preventing purpose and promise. I am also a single mama raising a little warrior princess. Other joys include Acro yoga & kids yoga! Amy Kuscsik, Perrysville, OH CONGRATULATIONS 2018-2019 AMBASSADOR HONORABLE MENTION! 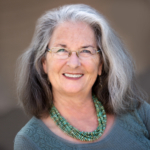 Victoria is a yoga instructor, Trauma-Sensitive Yoga Faith instructor, and a psychotherapist. Fascinated by yoga as a child, Victoria fulfilled her dream late in college and has practiced yoga since 2012. Yoga has served as the greatest tool in her own physical, spiritual, and emotional healing journey. Her passion is to, as her own counselor has said, give away what she have been given. Always the adventurer and seeker, she discovered her greatest passion when she found Yoga Faith and the tremendous gift of praising, thanking, and surrendering to Jesus through movement. 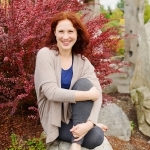 Victoria’s love for teaching yoga stems from the joy of creating a safe, sacred, and relaxing space where people of all ages and backgrounds can come to move, breathe, connect, and belong. Along with yoga, she finds great delight in dancing, daffodils, the magic of fall, and gatherings of loved ones around coffee or a campfire. Victoria currently teaches in Clarkesville, GA and lives in the mountain foothills of Toccoa, GA with her husband. I originally found my mat in the hot rooms of a Yoga studio at the invite of my Step Daughter. It was a means to heal and mend a tattered and fragile relationship. Immediately the sweat and the movement became embedded and I continued my quest for yoga as a physical workout by venturing into the rooms of a Bikram Studio. Feeling incredibly “accomplished” as a yogi having done 90 minutes, 90 times in 90 days, my body began to fail me. My relationships began to fail. Bankruptcy seemed inevitable. I was so very angry with my life and those in it. Life was unraveling quickly as my food addiction grew stronger. Through my 12 step journey I was reunited with Jesus, my Saviour, my King. As my relationship with Christ grew, I felt more and more disconnected from the yoga rooms that beckoned a relationship with some form of new age belief system that gave me a sense of unease and so I began to practice yoga at home. Several years later, my youngest daughter suggested yoga in the “cutest little studio Mom, I think you will like it”. It was there that I had a profound encounter with God. It was indescribable and as I continued to flow and humble myself and not seek yoga as a work out but as a form of worship I felt called to seek a Christian yoga community. I actually did not believe such a yoga school existed but as the saying goes, “when the student is ready, the teacher appears”, I googled Christian Yoga and voila….YogaFaith appeared. I believe that yoga can unify individuals, heal relationships and strengthen communities as people learn to worship and glorify God through their physical practice, their contemplative prayer and humble themselves. It is a privilege to work with an organization that puts God first in everything that is done. Love my country, our continent, our world. With Purpose, On Purpose and For a Purpose. Yogafaith is the miracle I didn’t know I was praying for! He has been so faithful to guide me through this life changing journey. Hallelujah! I have become a new creation. I am transformed and filled with a purpose that blesses me as I passionately serve others! As of 2017 I am R-YFT200 and look forward to adding more Yogafaith certifications to my tool belt. I will be taking the Christian Meditation Guided Nidra Certification | Feb.4, 2018 I am also a Certified Aromatouch Technician with doTERRA Essential Oils. I love incorporating essential oils as well as other mediums such as art and journaling into my Yogafaith classes. I am available for individual or group sessions as well as retreats. I mainly teach Gentle Yoga while instructing for options of more challenging poses. 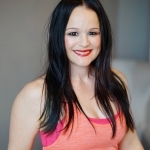 Shauna is a yoga instructor, YogaFaith 12-Step instructor, and YogaFaith Adaptive instructor (April 2019). Yoga had been taboo for Shauna growing up in a conservative Christian family. In 2016, the Lord had other plans for her and brought yoga to the forefront of her life where she embraced it as a form of spiritual comfort and a means to correct the physical and emotional havoc that 25 years in the corporate world had wreaked on her body and spirit. After a period of questioning whether she belonged in the yoga community, she found YogaFaith. In 2018, she completed her 200-hour teacher training with YogaFaith (R-YFT), is registered with Yoga Alliance (RYT 200) and the Christian Yoga Association (R-CYAT). 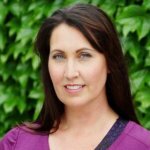 Shauna’s passion is to create sacred space of compassion, joy, peace, and wellness where everyone’s unique yoga journey is validated and free from judgment, to strengthen the whole person in body, mind, spirit, and soul. She holds a special place in her heart for the messy, as YogaFaith has strengthened and brought clarity to her own personal testimony and confirmed her mission to offer an avenue of hope and healing to those in need. God uses our hot messes for amazing purposes! 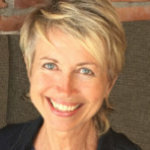 Shauna resides in the Central Coast of California with her husband and daughter, where she primarily teaches Adaptive Yoga for fuller bodies, Beginners Yoga, Gentle Yoga, Restorative Yoga, all aimed to create accessible and equitable space for students to build unshakable confidence and learn to live their truths in their God-given bodies without shame or apology. Stacy lives her life rooted in love. Yoga has played an impactful role in expanding her worship time not only physically but mentally as well. She has found that meditating on the Word combined with movement has deepened her journey with Christ. From Meditation and Nidra, gentle movements in a restorative practice, creating space in Yin, gaining flexibility in Vinyasa to feeling powerful in heat, yoga rounds out so many aspects of our everyday lives and seasons of change. With all gratitude to our merciful Father, Stacy feels blessed to share her love of yoga and its benefits with her students as they journey with Christ. 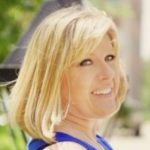 Starting her fitness and wellness career in college, Jackie has over 15 years experience personal training, managing, and teaching group exercise. 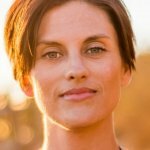 Holding numerous academic and fitness related degrees and certifications, she has been a certified yoga instructor since 2007. Jackie began practicing yoga at a young age to keep her body and mind healthy. 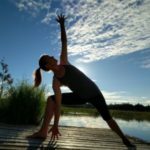 Recently, Jackie was looking to deepen her knowledge as a qualified yoga teacher, and went on to complete her 200 hour Registered Yoga Teacher with YogaFaith. Having a past in gymnastics, and fitness competitions, Jackie gets most excited about inversions, arm balances, and acro yoga. It was a defining moment when Jackie realized she could combine her love, education, and purpose for teaching with her love for Jesus and spreading the Good News. It is her ministry to bring yoga and its endless health benefits to others. Jackie is married to the most amazingly supportive man and has two beautiful daughters who love the Lord. She relaxes by spending time with her kids, taking walks with her husband (and their dog, Siren), reading, and enjoys coaching her daughters youth soccer teams. Come learn from this beautiful soul at our Chicago Teacher Training in May of 2019. Kim found yoga in her recovery journey in 2014. As she worked through a Christ Centered 12 step program at a local church she began the healing of her physical body in hot yoga. There she kept hearing from God that “He has plans to give her a hope and a future”, Jer 29:11. Finding a new habit of meditation, yoga and connection was life changing. Kim found the YogaFaith 12 Step and recovery training and dove in! This big step in faith led Kim to complete her 200 hour yoga teacher training with YogaFaith in Spring of 2018. Since then she has taught at her church, recovery centers, assisted in YF12S trainings, taught in yoga studios, high schools, fitness centers/gyms, parks and even at music festivals. Over the years, I tried many healing modalities on my journey to wellness from chronic pain, excluding yoga, due to its spiritual associations. Eventually, I tried a class in a local gym, thinking it would be presented from a “safe, physical only” perspective. Once my body entered into the slow, sustained stretches, in the peaceful, quiet environment, I felt like I was “home”! It felt amazing! Eventually, God watered and grew a “dream seed” in my heart to teach yoga and perhaps create a style that would be Creator-focused, whole- being worship. In 2014, as I was praying about where to get my certification, I came across a Yoga Journal ad for exactly what I was looking for and dreaming of – something called YogaFaith! Two weeks later, I found myself in a “God bath” at the Miracle Ranch Immersion teacher training. I see yoga, especially YogaFaith, as a beautiful modality for healing – spirit, soul, and body. It is my desire to be a facilitator of God’s healing through YogaFaith, wherever and to whomever He may lead. Learning and teaching about God’s design for vibrant healthy living from the inside out is my passion, as is teaching restorative yoga (“Yoga Spa”) and living in the Shalom of God. I find great joy and awe in anything God-made, including my family and perennial garden. Carla began practicing yoga in 2010, checking out yoga DVDs from the library. At first, strong flows were what attracted her to the practice. Six years ago, she began a journey of living with a chronic illness. At that point, slow flows, yin, and restorative became daily tools to alleviate the pain in her body. That daily practice time became sacred; a time to worship, a time to experience the healing power of yoga, a time to be with the Lord. She recently graduated from YogaFaith’s Fall 2018 Teacher Training and now leads various styles of yoga classes in her community. Carla’s personal practice is focused on uniting with God and moving with gratitude and devotion. Carla loves the playfulness of yoga, the beauty of the movement and the room to explore that yoga provides. 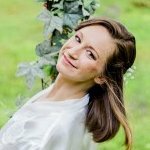 She believes that yoga is for every body and is an advocate of modifications and prop use to help each individual truly enjoy and benefit from their practice. Yoga has been such a gift to Carla, and she wishes to pass on that gift to each person that comes to her classes. 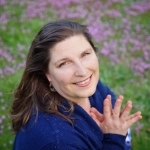 Carla lives in Mukilteo, WA with her husband and two children. Passionate about discipleship, Carla and her husband have served at their church for the past 20 years. They love to lead life groups where people can connect with others, connect with God and grow into disciplining others. We look forward to you being blessed by this extraordinary being!